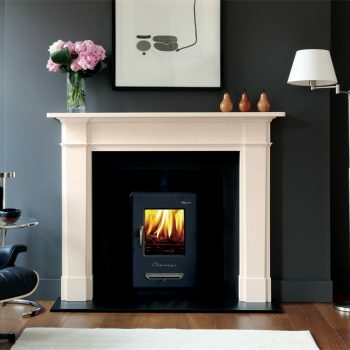 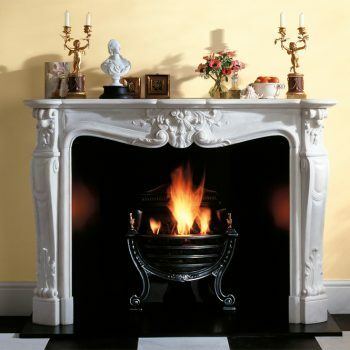 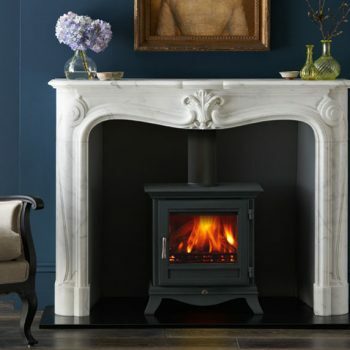 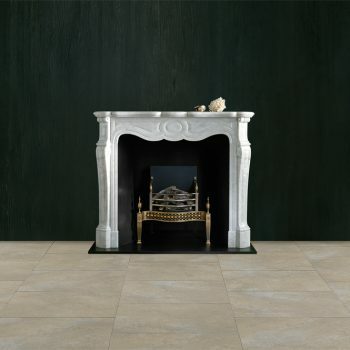 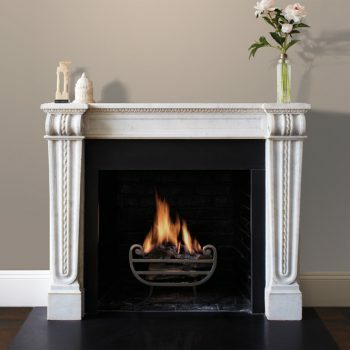 The Sorbonne is a graceful and understated design from the era of Louis XV. 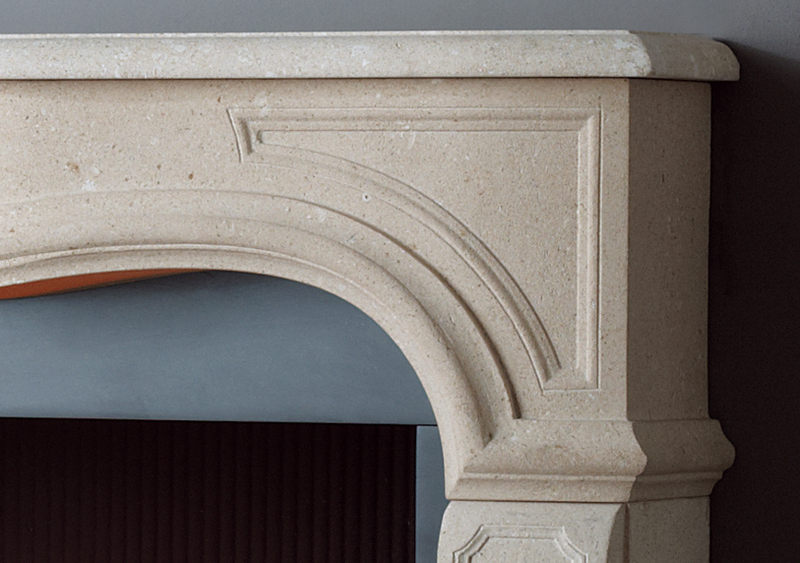 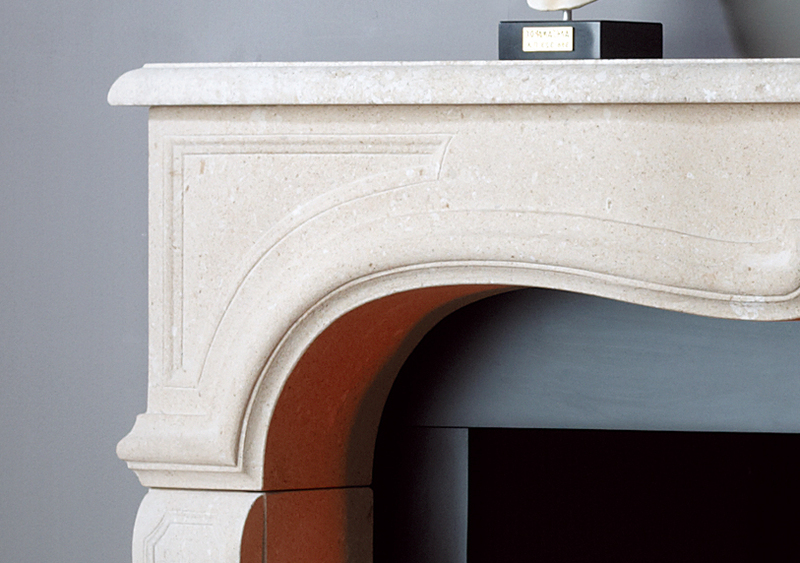 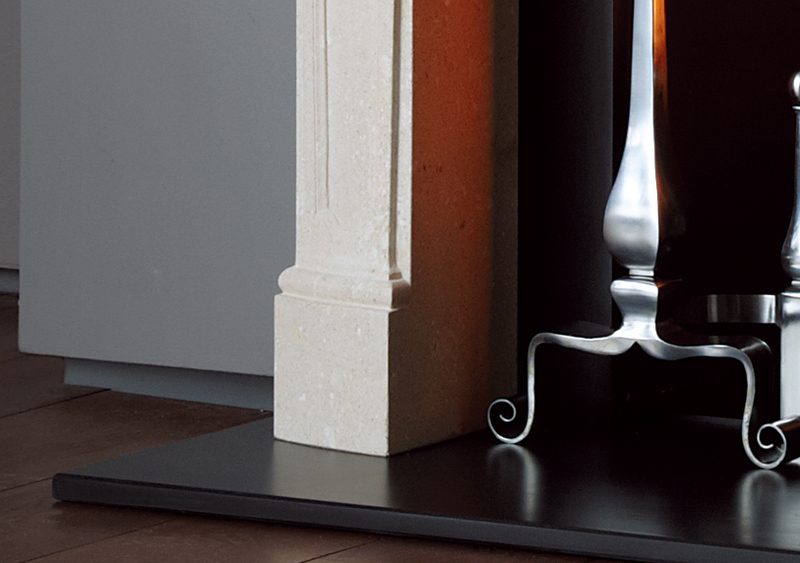 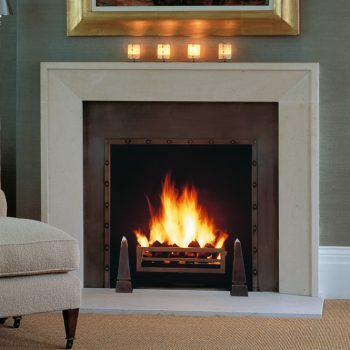 With its serpentine frieze and paneled ornamentation the fire surround embodies the refined architectural detail that is associated with furniture and interiors from this period. 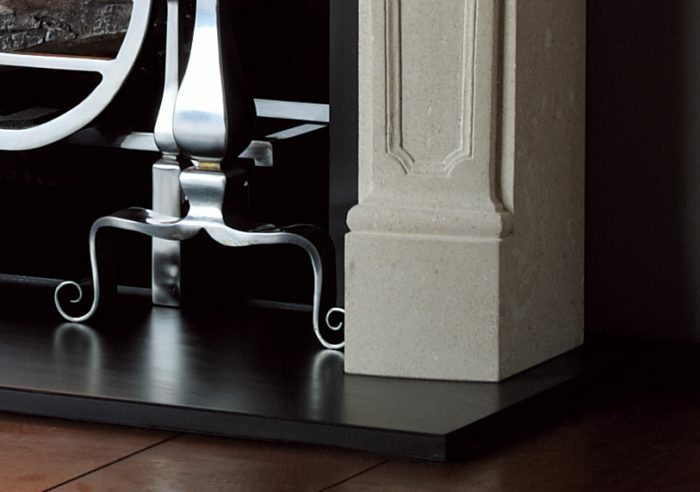 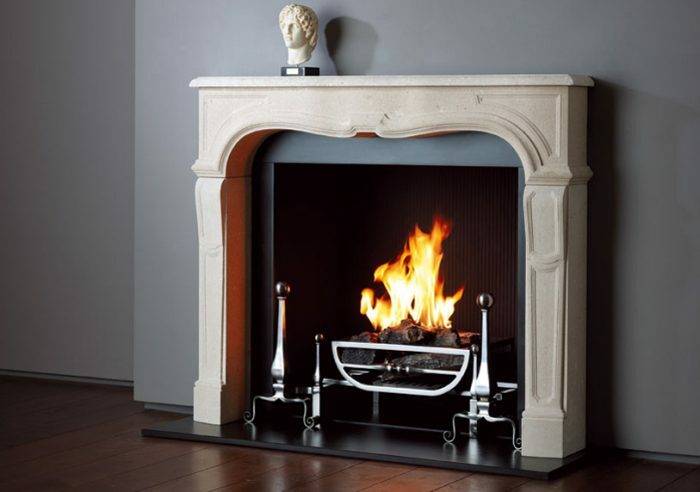 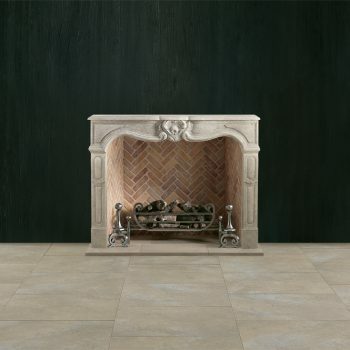 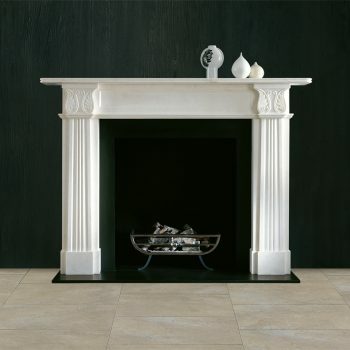 The Sorbonne is shown in Bianco Avorio limestone with the Morris forged steel fire basket for dogs and Burton forged steel andirons.